Good afternoon. It’s a real pleasure and honor to have the chance to participate in this symposium in Millie Dresselhaus’ honor. 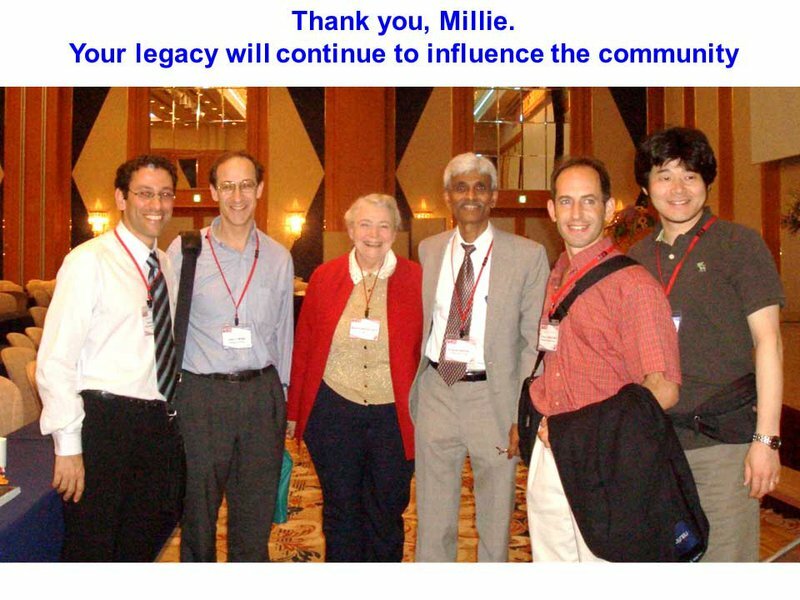 I have to say, it’s always difficult to give a short talk, but I was not given much guidance with the criteria: picking a subject that would strongly overlap with Millie Dresselhaus’ contributions. Everything I’ve done in the last 15 years strongly overlaps Millie Dresselhaus’ contributions! I would like to start with a few quick remarks about Millie. 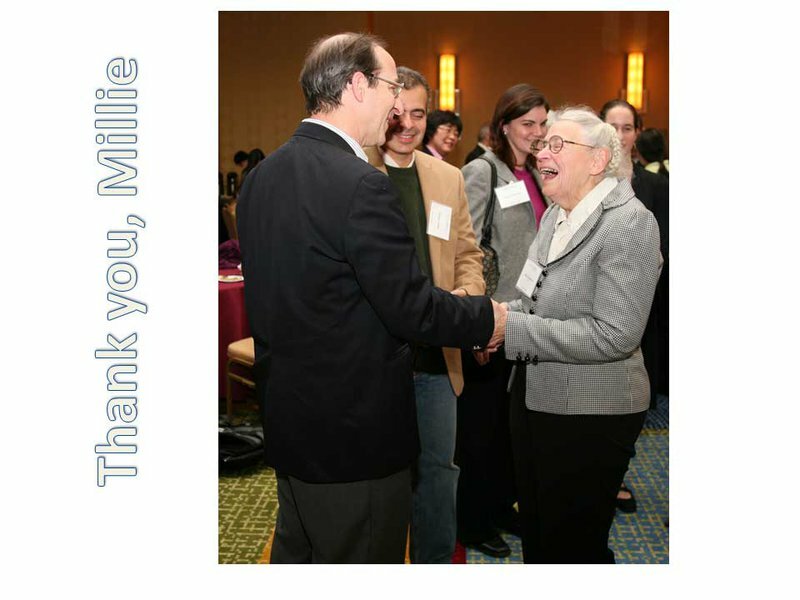 I had the pleasure of meeting Millie Dresselhaus 34 years ago, at MIT, when I was a fresh PhD. She was always someone whose work I appreciated. But it was particularly in the last decade and a half that she’s been really a part of my professional life, in many ways. 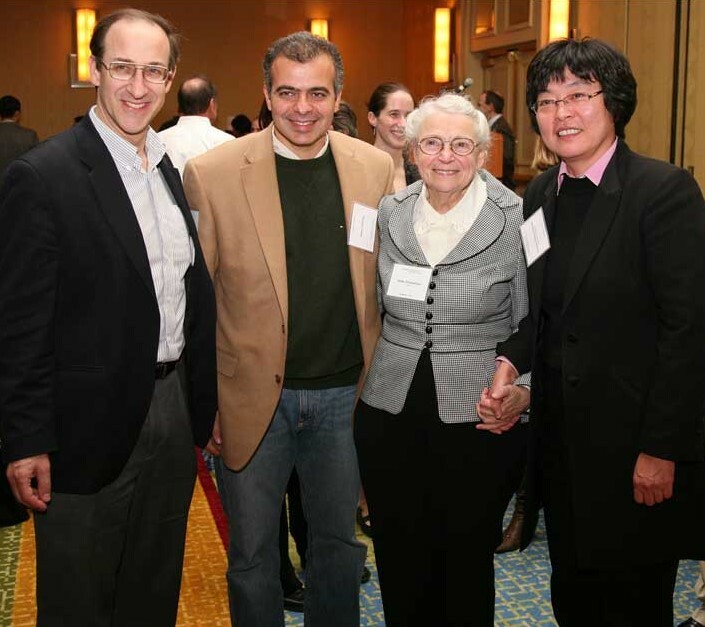 The immediate impetus was that she, in working in carbon nanotubes, pioneered the idea of doing spectroscopy on individual nanostructures and on individual nanotubes. 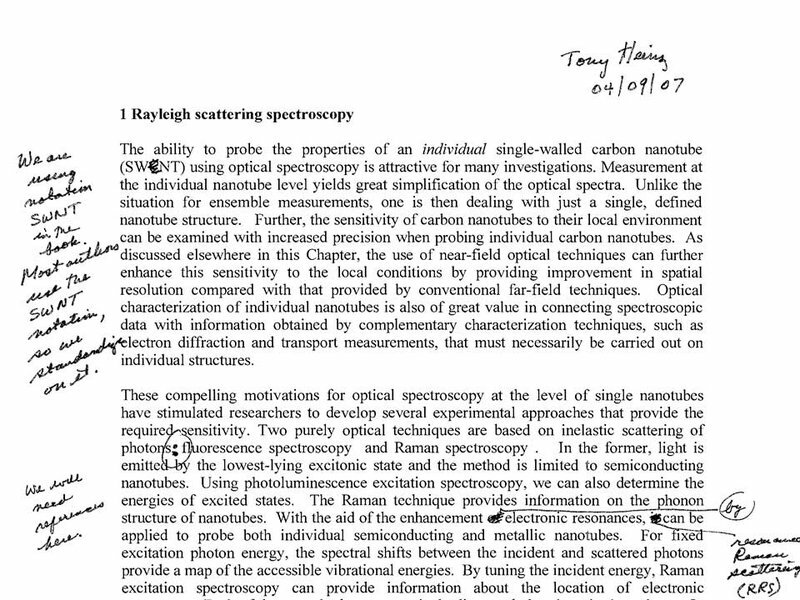 Turns out, that was a turning point in my career, because although I’d been doing laser spectroscopy for quite some time, it was looking at large amounts of materials — bulk material surfaces, and so forth. But, inspired by the work at MIT, we at Columbia (where I was working, at the time) started looking at individual nanostructures! Our first activity in this area used a variant of something Millie is famous for — inelastic light scattering. 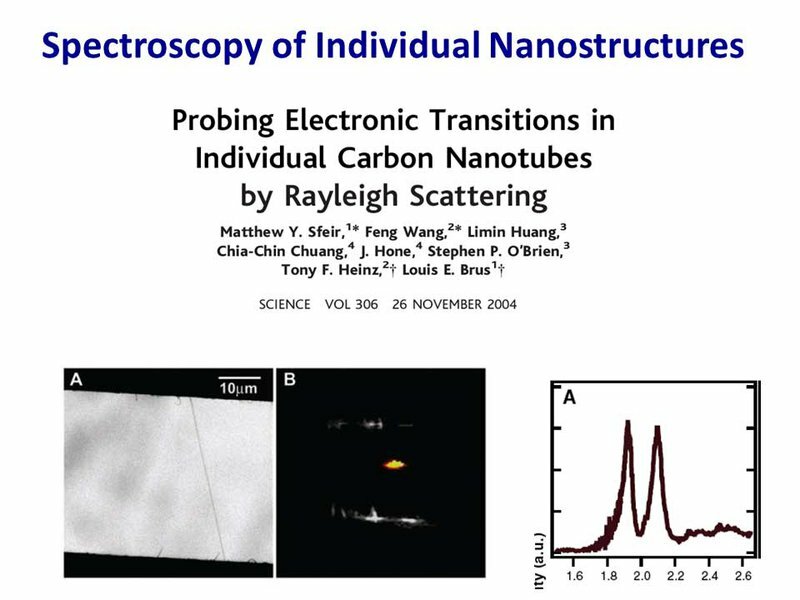 When we looked at inelastic light scattering, we made all sorts of discoveries and were able to contribute to spectroscopy of individual nanotubes. This was the start of a very exciting period for me, professionally speaking, and Millie was an inspiration, and we also had the chance to collaborate with Jim Hone and Louis Brus and we were helped a lot by Philip Kim. So, in that sense, Millie set me off in a critical direction in my research, and I’d just like to amplify that. I always found Millie exceedingly welcoming to newcomers. Even when I was new to the field, Millie always embraced what we did and was always extremely positive. Normally, if you talk to a very senior person, they’ll give you a hundred reasons why everything you’re doing isn’t really quite right — and then they’ll add that they’ve done it before and you’re wasting your time and so on. But Millie was never like that. Not at all. 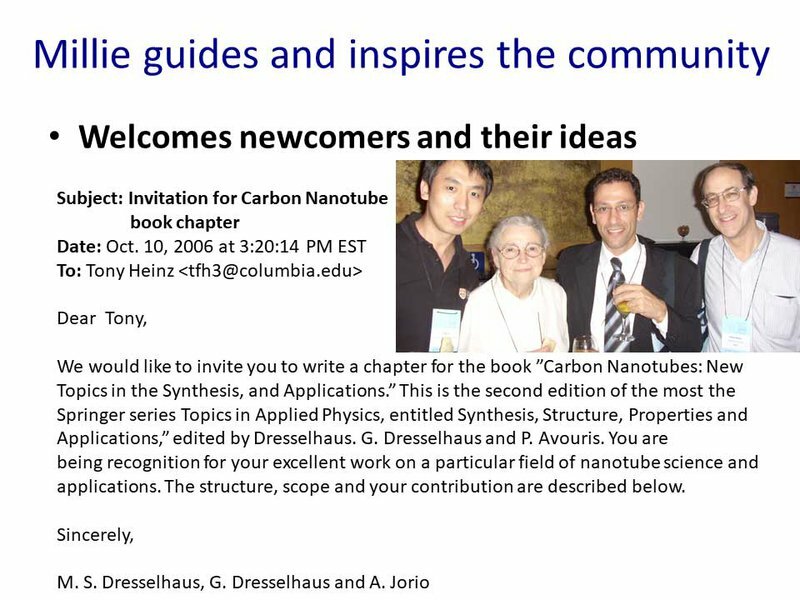 In fact, fairly early in my nanotube career, I was very pleased and surprised to get this note from Millie, asking whether I could contribute a chapter to a book that she was organizing with Gene and P. Avouris and Ado Jorio. I really took that as a sign of her openness and her welcoming nature towards newcomers and their ideas. But, of course, those of you who know Millie appreciate that there was another facet to this, which was that she will appreciate you — but she’ll always hold you to the highest standard. 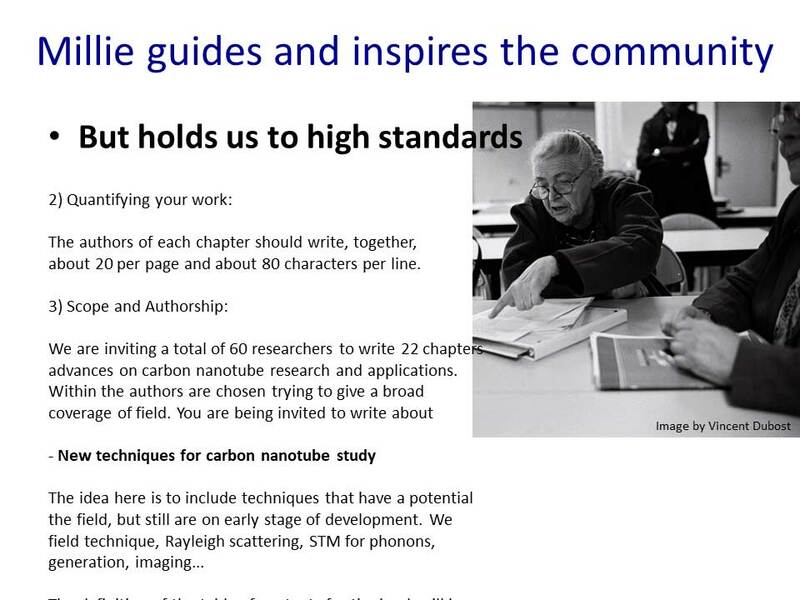 The email explained exactly what to do: I was instructed to write about new techniques for carbon nanotube study, and the chapter should include these topics, and so on and so forth. But, of course, to the normal author, the single most important thing is this: deadlines. Now, this book was written on an absolutely crack schedule because of the pressure in the field. Therefore, if you look at the email, you’ll see that we got the invitation on exactly October 20th — that’s when I confirmed to Millie that I was doing it. 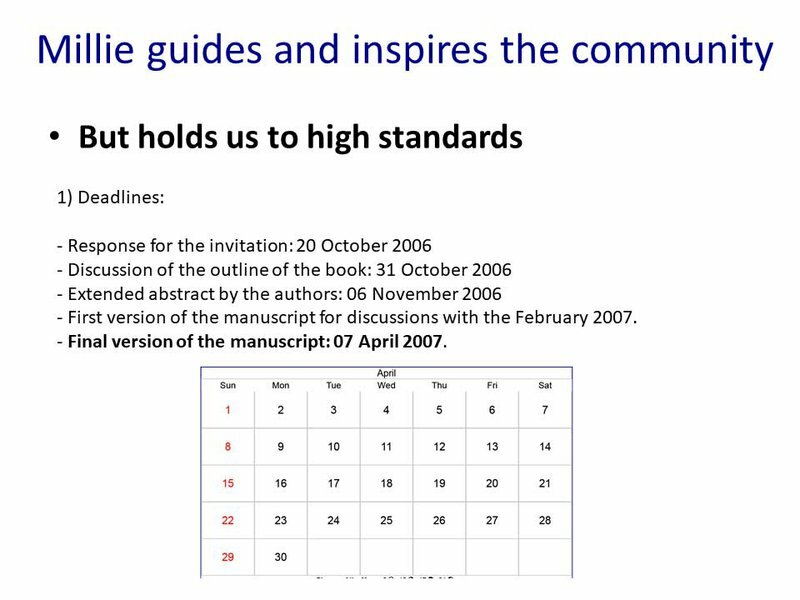 There were various checkpoints along the way, but the final manuscript was due on the 7th of April, the following year (2007). Now, one of the interesting things was that the 7th of April, in 2007, was on a Saturday. I’ve a very firm memory of this, for reasons you’ll understand shortly. Now here, I was very inclined to say, “Well… I’ll do my best, Millie.” But, this being Millie, I knew she would hold me to that. So I was brutally honest. But then I remembered that I’d promised to get it to her by Sunday. So I made myself some more coffee, and I kept working long into the night. Finally, at 2:00 in the morning, I sent the thing off — and then went to bed, knowing my Monday morning lecture not quite prepared and I had blown off everything else I needed to get done that weekend. However, as it turned out, sending Millie my manuscript at 2 AM was exactly the right thing to do! Because when I woke up the next morning — you’ll remember, this is Monday morning — I checked my emails and discovered that Millie had read my entire chapter at 5:00 AM on Monday morning and had already sent it back to me with her edits. So I dragged myself out of bed, tried to prepare the quantum mechanics lecture, and soon found that I was editing the chapter, yet again, to incorporate Millie’s edits. It was an episode of my life that I’ll never forget. So, to wrap the story up, I would just like to thank Millie for welcoming us into the community, for her extremely high standards, and for all she’s done for the community at large. And I’d like to add one other thing which is both impressing and quite daunting. Thinking back on my professional career, I began to realize that some of the work I’m proudest of mirrored what Millie was doing and contributed to the areas she had, so remarkably, pioneered. But you have to remember that when I started working on those really exciting parts of my career, Millie was already about 70. So even though I’m beginning to think of myself as a senior guy, I reflect on Millie and have realized that my best research years are still ahead of me. If I want to keep up with Millie, I’ve got to start working on an entirely new set of things and surpass all the research I’ve done, to this point. In short, we’ll all really miss Millie. She’s been such a tremendous inspiration to us all. Of course, Millie went from nanotubes to carbon nanostructures, but she also went beyond that also and looked at other 2D materials. 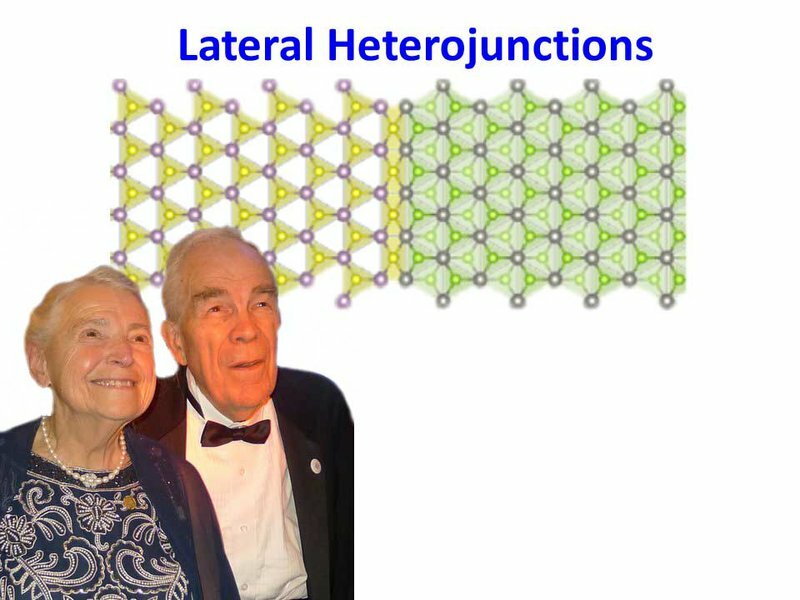 I’d like to tell you a little bit about 2D semiconductors and one facet of them that, I think, Millie would’ve appreciated. This is a picture I show a lot because it’s very easy to remember. It’s exfoliated molybdenum disulfide (MoS2) — you can see a monolayer and a bilayer. On the left is an image in optical contrast, but on the right, you can see a light emission image. You’ll notice that the bilayer is missing. 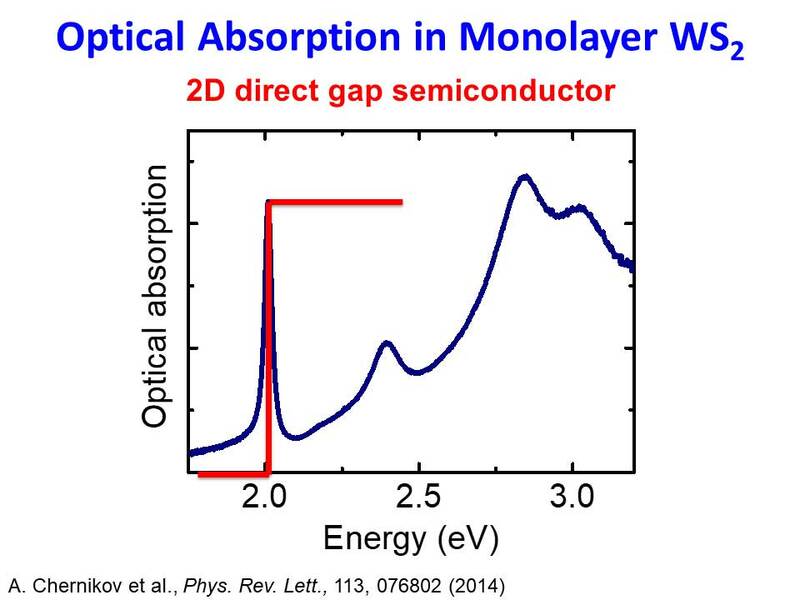 And from this, we can conclude that we have a very efficient light emitter with the direct gap at the monolayer level. This observation from our group and Feng Wang’s group — it made many people interested in observing the optical properties of these 2D semiconductors. Let’s look at absorption. It’s one of the first things you’d want to look at. That’s a nice way to characterize it. However, it isn’t really so easy to understand, because there’s a small disconnect between what we think should happen, and what actually happens. If you open up a textbook and look up what the absorption spectrum should be, you’ll discover that it should be a step function — because the joint density of states turns on at the bandgap. I’ve drawn that for you in red. Now, compare that to the actual absorption spectrum — drawn in dark blue. Quite a difference, huh? A less than ideal agreement. 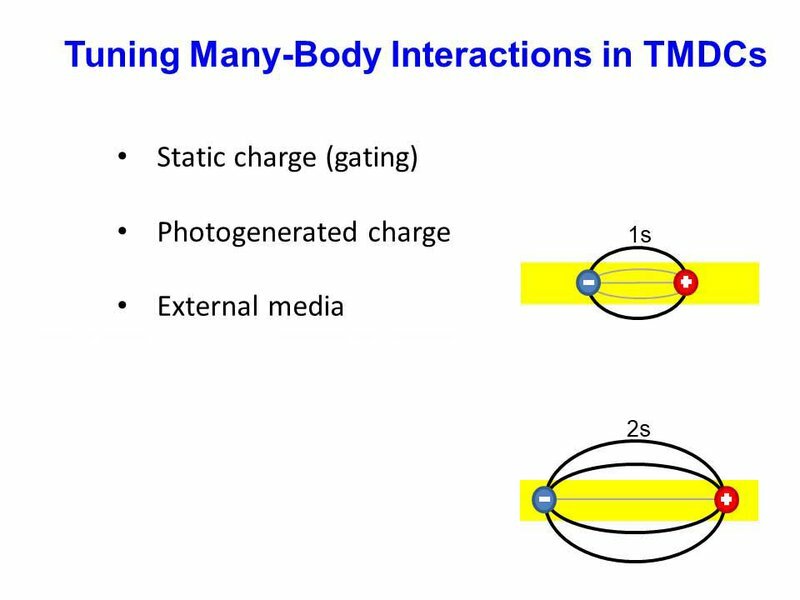 In this sort of system, you have very strong electron-hole interactions — those are the ‘many body interactions’ that I refer to in my title. 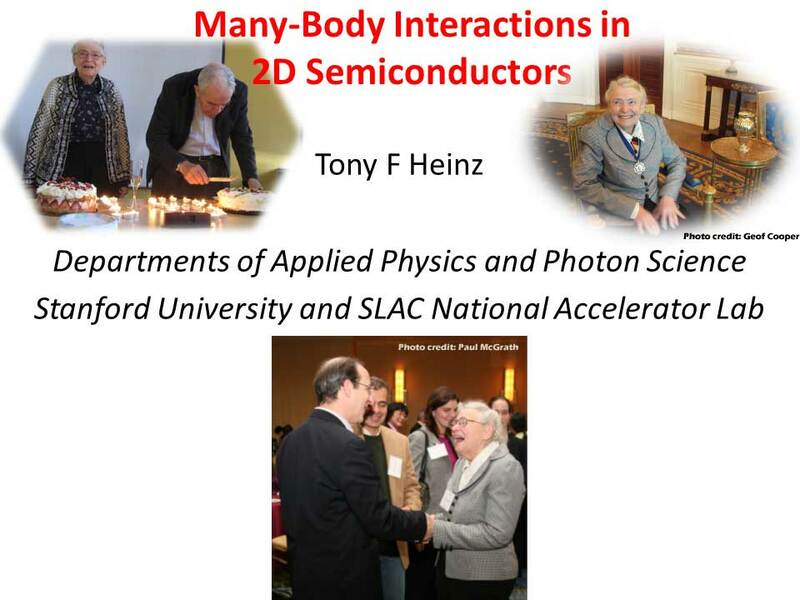 That kind of interaction was the subject of much theoretical interest. Basically, you would have an enhancement in the effective strength of the Coulomb interaction associated strictly with the reduced dimensionality of the system. This gives rise, within an hydrogen model, to a well-known increase by a factor of 4 in the exciton binding energy. In addition, and more distinctively, there is also a reduction in the effective dielectric screening because the layer is so thin. From the experimental point of view, it was a little harder. Much as was the case for nanotubes, it took a while for experimentalists to really get a good signature. 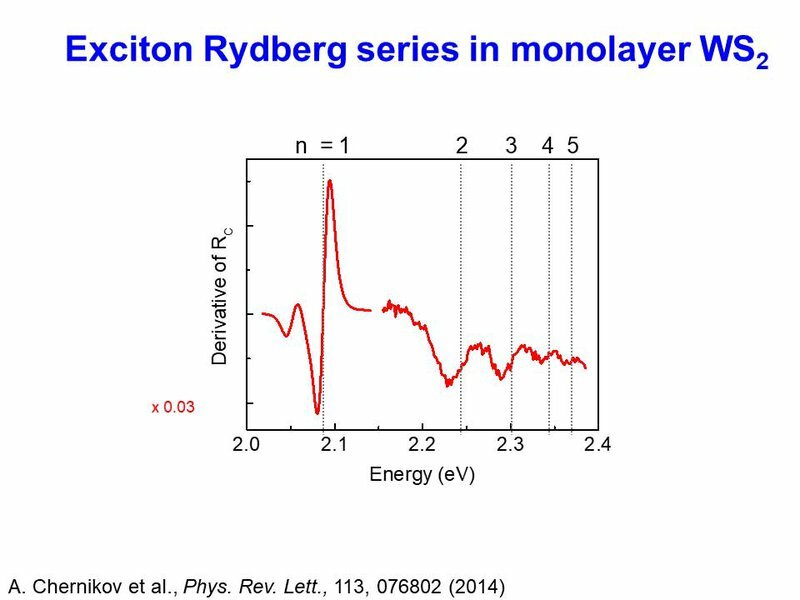 The signature that we’ve found can understand that the big peak at 2.0 eV in the graph above corresponds to an exciton. But how do you get more quantitative information? It turns out that, if you look more carefully in the yellow highlighted region of the spectrum, you actually see a series of additional features. Above, we’ve given the big peak some extra magnification so you can see the higher features. 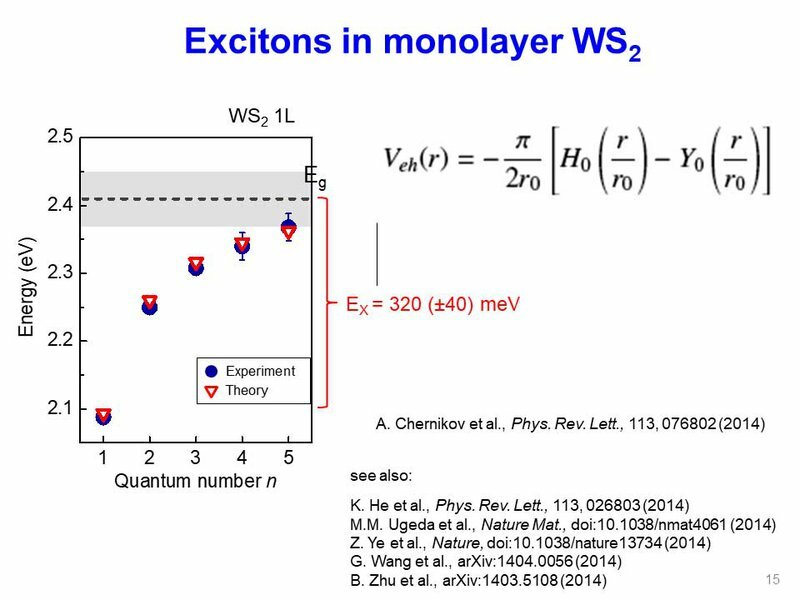 These higher features are, in fact, excited states of the excitons. So by looking at the spectrum carefully, you can get a lot of very interesting information. You can plot up these energies and then extrapolate, and then you can see that this gap in the graph at 2.15 corresponds to the quasiparticle bandgap. 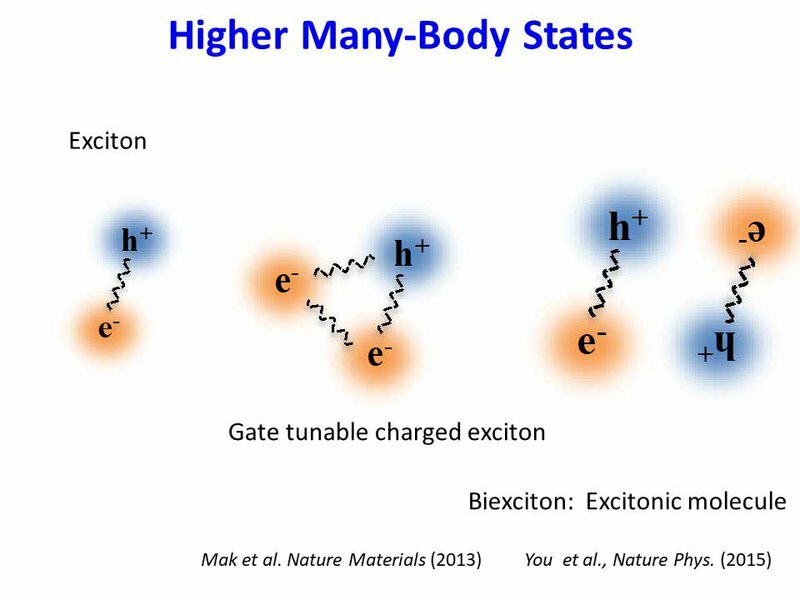 The splitting, here, is the exciton binding energy — a very, very large exciton binding energy, especially as compared to bulk materials. model, this first excited state would be much, much higher. And, in fact, you can model all of this very nicely by using this seemingly peculiar form of the electron-hole interaction. I say seemingly peculiar because although it looks very different from a regular Coulomb potential, actually, it’s just what you get when you consider the screening in a thin sheet. 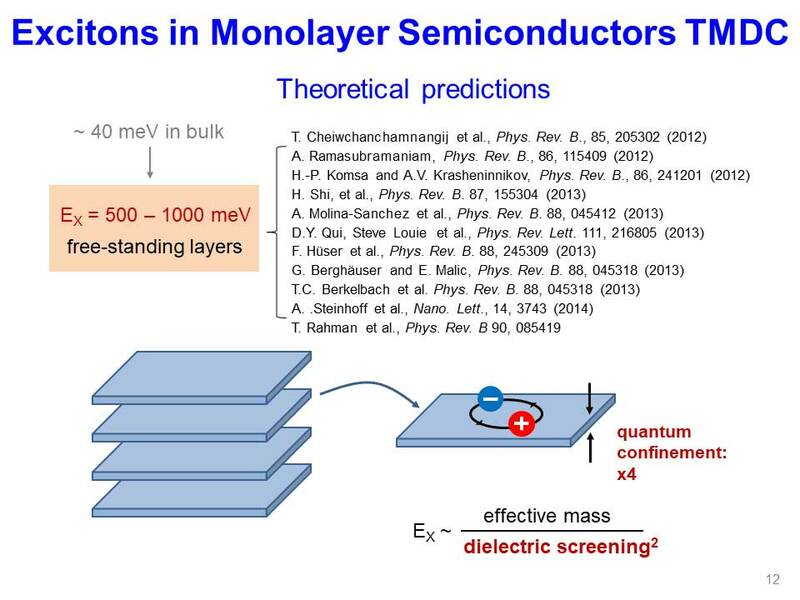 In the ground state, you have a lot of screening that happens within the monolayer. However, in the excited states, many more of the field lines tend to go outside the layer. Consequently, there’s a length-dependent dielectric screening in a modification of the Coulomb potential. If you do this in the simplest model, the so-called Keldysh potential, then you resolve the hydrogen atom in two dimensions, and you get this nice agreement. It’s a really beautiful system to use to understand electron-hole interactions. It also has very strong interactions, and the interactions become stronger at longer distances — at least, relative to an unscreened potential. Therefore, you have very prominent signatures of these higher-order excitons: the gate tunable charged exciton, and also the four body state, the bi-exciton state. This area has generated a lot of interest and excitement in the field. I’d just like to tell you about a very specific aspect of this: trying to tune these interactions. We’ve done a number of studies on this. With any 2D material, of course, you can learn a lot by changing the charge density — this is the basis of field effect transistors and so forth. 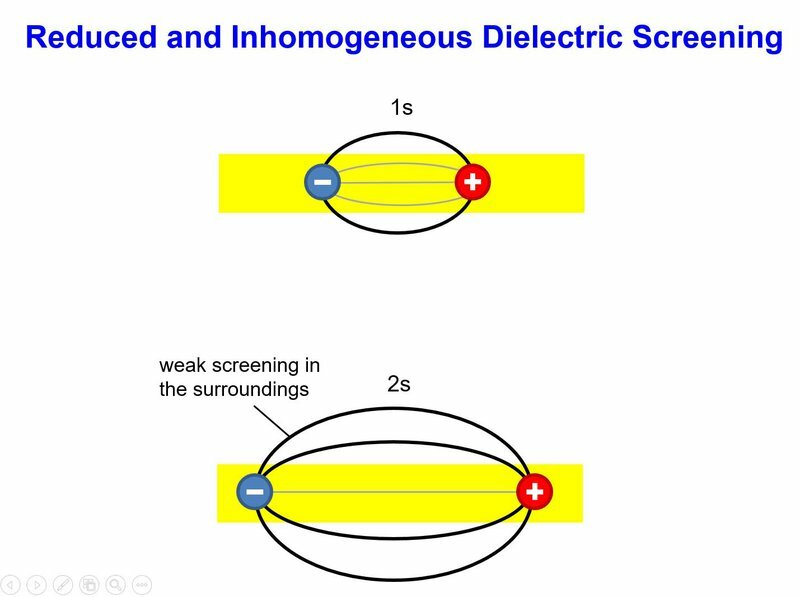 But, in the case of optics, changing the charge density allows you to screen the electron-hole interaction. You can, in fact, do an even better job if you excite it with a strong pulse, because that allows you to put a very high density of electrons in holes. But I’d like to argue that one of the most useful ways to tune the interactions — and one of the most obvious — is to simply modify the external environment. If you like this picture that I showed you, before, and if you believe it — and you should; it’s quite correct — then you’ll understand that the excitons will be modified by the external environment and that the higher, more excited excitonic states will be modified even more dramatically than the lower-lying states. This, then, suggests that there’s a nice way of tuning the many body interactions and of modifying the characteristics of the material, just by changing what you put near it. Let me show you how you can realize this in a very simple experiment. 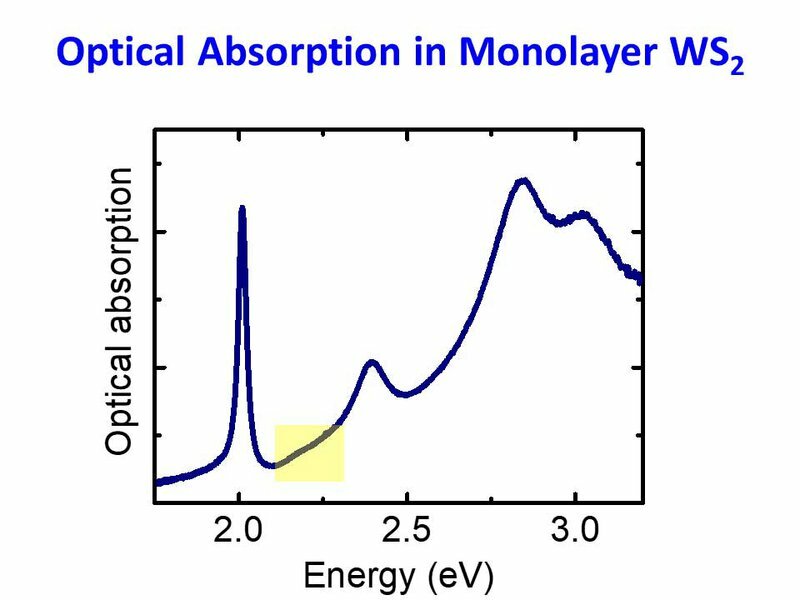 We studied a piece of tungsten disulfide (WS2) — a monolayer strip, as shown above — and we compared the exciton spectroscopy in regions where it’s sitting on the substrate but otherwise uncovered, and in regions where it’s covered by some graphene. This was the work of Archana Raja. Look up that name, if you’d like to hear more. This is a spectrum that shows the energy of the ground exciton state in the first excited state. First, we plot what happens when you have no graphene on top of it (where the x axis reads “0”). 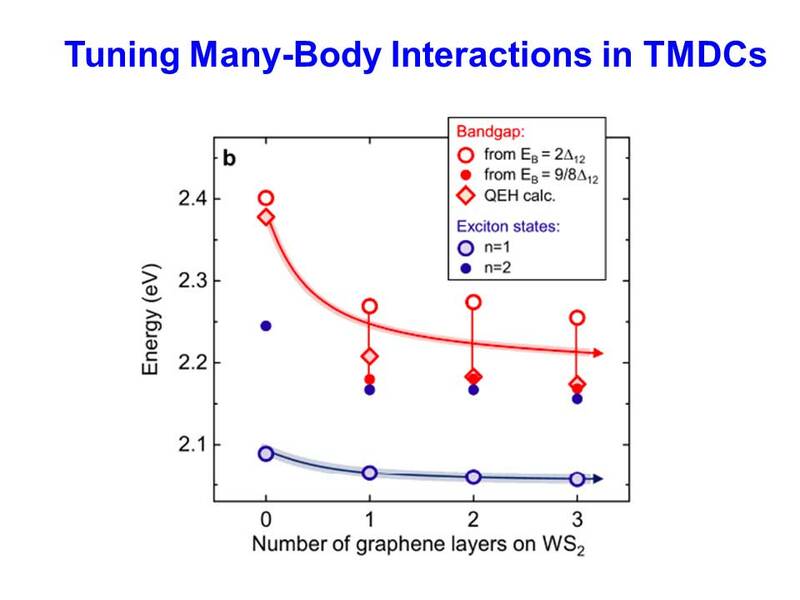 Then, we plot what happens when you add graphene. This ground exciton state shifts a bit in energy — not dramatically, and you can understand that because the field lines are more confined — but the first excited state actually shifts almost 100 millivolts by adding one layer of graphene. 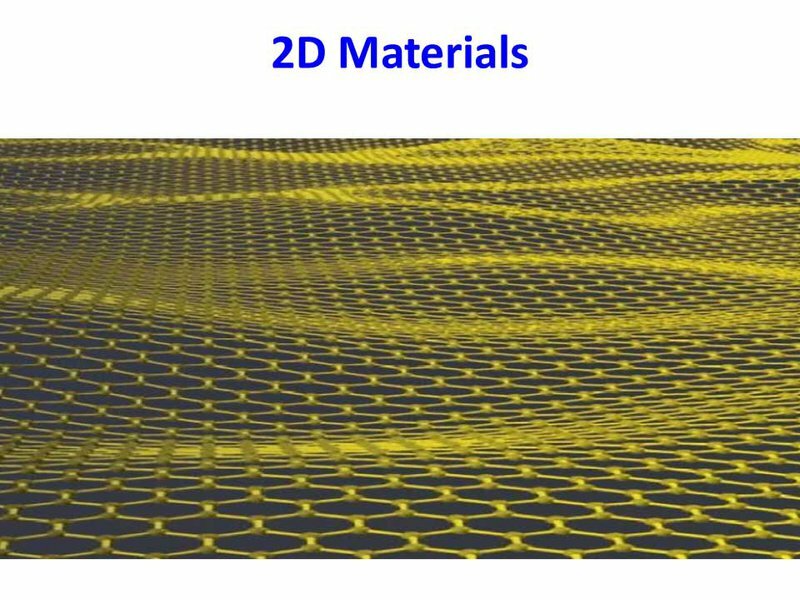 You also see that this is very local, because as you add more and more layers of graphene, things don’t change very much. But what’s really interesting about this is the stuff shown in red. This is where we take the spectroscopy and extrapolate to the quasiparticle bandgap — that is the electrical bandgap that you’d see. You can think of that as the limit of the electron and hole being very far apart. You can see above where we get an even stronger effect. We have some uncertainty, which is based on our extrapolation of spectroscopy to the gap. Despite this, you can see that there’s a very dramatic shift in the quasiparticle gap. Therefore, the electrical properties with respect to the gap are influenced by simply putting something on top of it. And this is very local because, as you add layers, it doesn’t change much after that. We did a little demonstration in which we created a very simple kind of quantum well. We scanned the laser across this structure wherever the external environment is modified, and then we plotted the quasiparticle gap as a function of position. 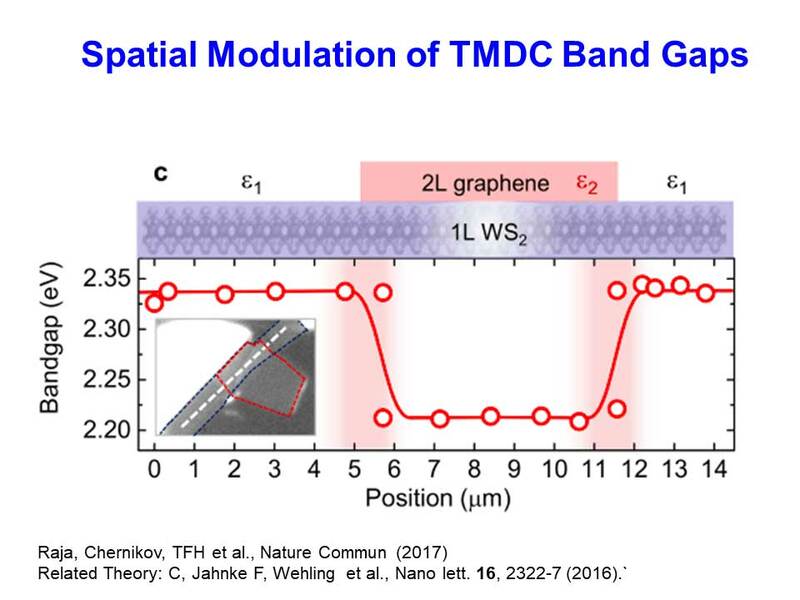 As you can see, you can make a quite pronounced modulation in the band structure without ever touching the material itself — and, consequently, without degrading its properties in any way. 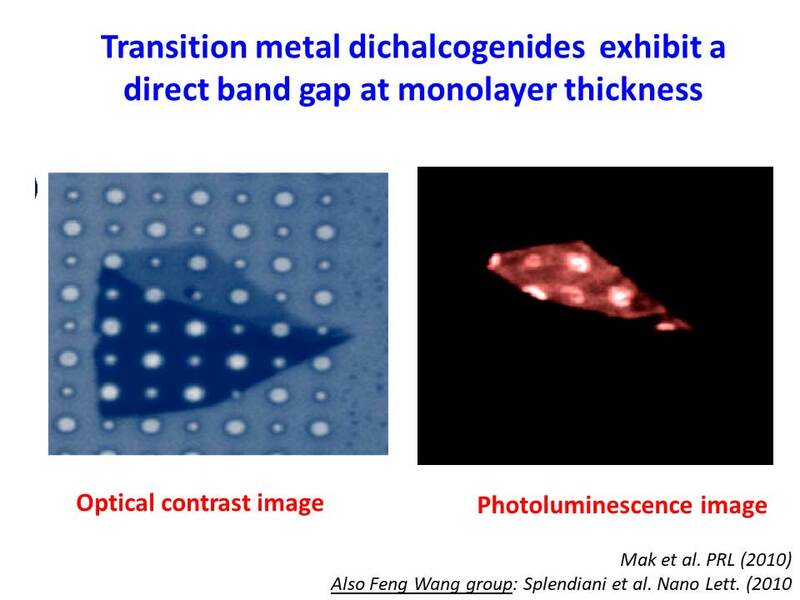 Now, this is not very good on the nano side, because we’re using far field optics, and this transition is dictated by the size of the laser spot. But based on this thickness dependence, we think this should be localized and readily scalable. As a consequence, in addition to all of the beautiful diagrams you see where you could grow one semiconductor into another and make an abrupt interface and a heterostructure and quantum wells in the lateral direction, I think it’s very interesting to take into account that, in this limit of atomic thinness, you are never decoupled from the environment. 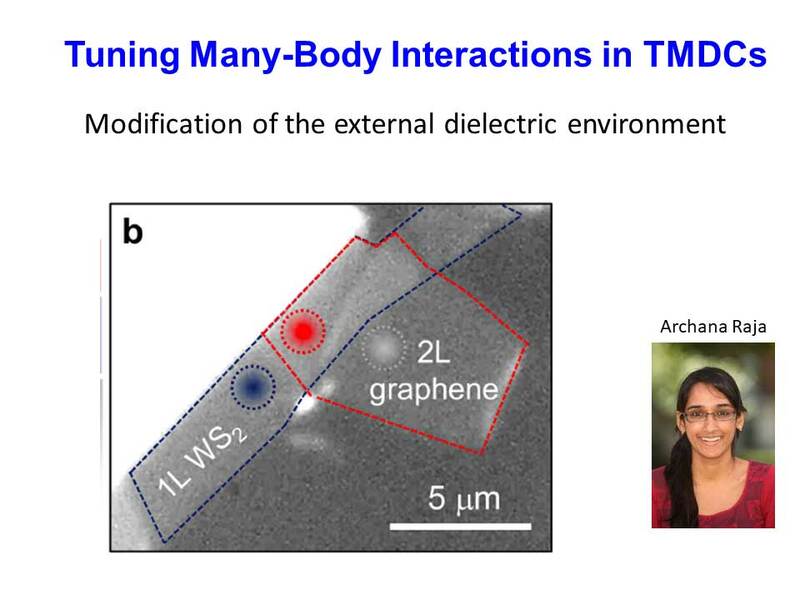 And, in a little bit of the same way that modulation doping played such a big role in quantum phenomena and in conventional 2D materials, I think control of the external environment is a very interesting way of modifying the properties of electrons within one layer. Here’s a little summary. 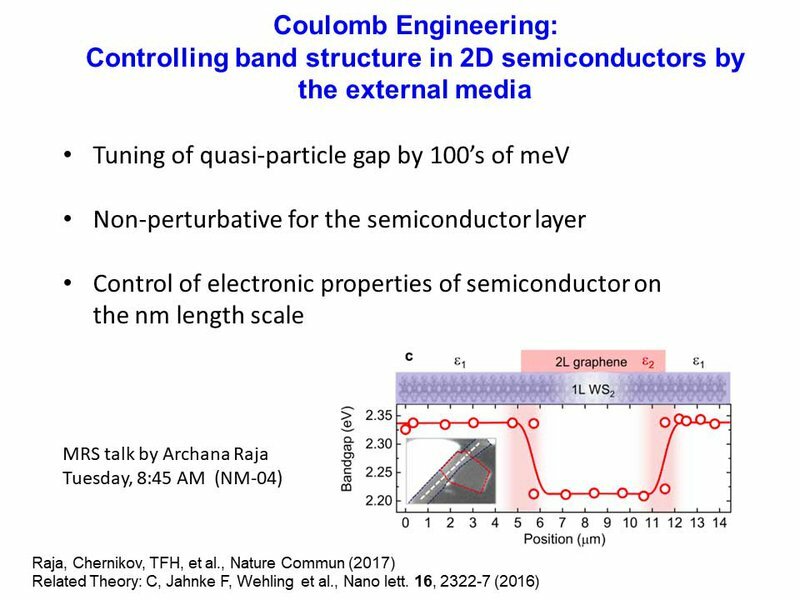 We’ve given this phenomenon the name of ‘Coulomb engineering,’ because you’re using modification of the Coulomb interaction to influence the behavior of electrons within the layer. 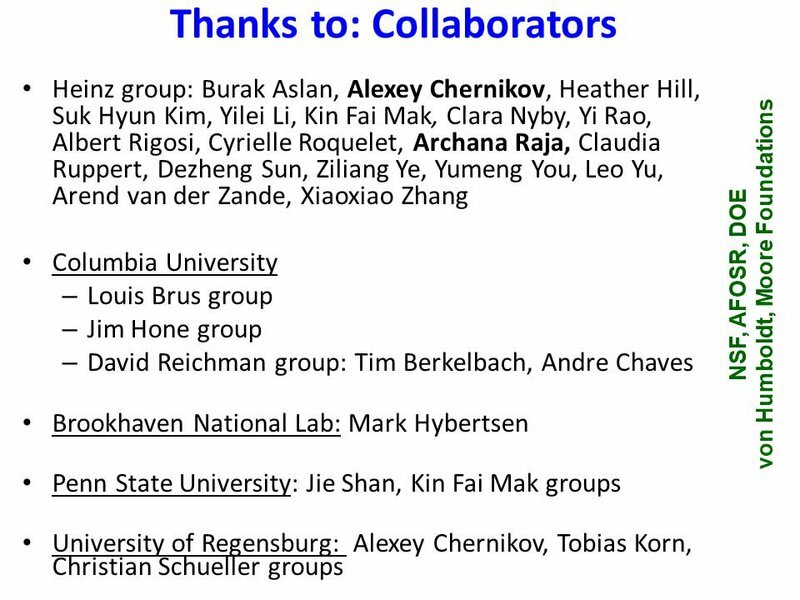 I’d like to acknowledge our various collaborators, particularly the folks back at Colombia. I did go through all my old photographs, for this talk, and I found there was a singular lack of one thing that was very important to me: namely photographs of me and Millie Dresselhaus! And when I asked myself why, I realized the main reason was that, whenever I was standing with Millie Dresselhaus, I was trying to talk about science instead of taking photos. Whenever I wasn’t, somebody else was usually asking me to take a picture of them with Millie. So I was always the one taking the pictures. But I did find one that I will show you, now — and Millie’s granddaughter helped me find the others in this presentation — but this is the one I found. And I think this really captures the joy that Millie radiated, within the community. She’ll be a lasting legacy for us, and she will certainly be missed very deeply by myself and by all the rest of the scientific community.